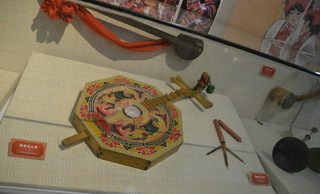 Situated opposite the Chongqing People Hall, Chongqing Three Gorges Museum is not only the largest monographic museum in China, but also a public undertaking for the preservation, education, scientific research in respect of cultural relics and the natural environment of Chongqing and the Three Gorges area. 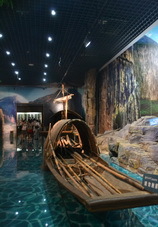 Occupying the area of 30,000 square meters, the museum was completed and opened to the public on Jun 18, 2005 with the construction area of 42,500 square meters. It was the first large museum with the title of China named by the State Council Office of the People's Republic of China beyond Beijing. It helps you to have a pre-view of entire the Three Gorges with high technology from all aspects. Furthermore, a 360 degree cinema of Three Gorges mainly shows the natural and social sceneries of Three Gorges prior to the construction of the dam project. 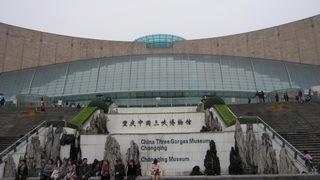 China Three Gorges Museum has another name - Chongqing Museum . It's not only a specified museum of Three Gorges but also a comprehensive museum of history and art, a collection of over 170,000 pieces of cultural relics. "Anti-Japanese Days " - telling the stories occurred in Anti - Japanese period.